Pet-n-Sur - Why Senior Pets are the Best! Why Senior Pets are the Best! We all love how cute puppies and kittens can be, however there are loads of excellent reasons as to why senior pets are simply the best! Raising a kitten or especially a puppy is a huge undertaking! The joys of an adult pet are very underrated. The best kept secret is getting a new family member who is already an adult. Busy households and those working full time will find relief in an older, experienced cat or dog as opposed to starting from scratch with a youngster. Many senior pets are already used to living in a home and therefore are likely to know more than untrained young guns. Dogs will likely already be house-trained, know “sit”, “down” and “come”. Cats will likely be well-versed in using a litter box. What you see is often what you get with an already mature pet… as opposed to puppies and kittens whose personality may continue to change as they grow up. Not having to worry about any surprises here is great if you have young kids in the family. At the end of the day puppies and kittens are more unknown, whereas with an adult pet you know what you’re getting. Senior dogs can be more tolerant and lenient towards kids. If they have a painful condition such as arthritis they may not enjoy being physically pushed by children but if they’re healthy in general older dogs can be a great docile match for kids. Family, work, after school activities, holidays, countless obligations… we can certainly lead busy lives. It can be difficult to fit in the time it takes to properly raise a puppy or kitten versus acclimatising an older pet into your household. Puppies in particular require a tremendous amount of responsibility – housebreaking, training, socialising, exercise to prevent destructive or bored behaviours from developing and more. 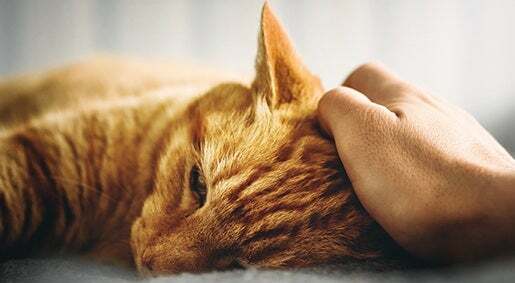 An older pet can be easier to handle within our busy lives. Can’t teach an old dog new tricks? Rubbish! This thinking unfortunately leads many people to not even consider adopting adult or senior pets at all. Pets of any age will continue to grow and learn. Senior pets can absolutely learn new behaviours and be trained to adjust into a new environment and life. As mentioned previously, older pets have often already experienced living in a home. Many shelters that you would adopt from also complete a behavioural analysis on each pet they adopt out which will give you background information on their personality, energy and behaviours all before you even take them home. While a puppy is cute and manageable in size for the first few months, they just keep growing until after about a year or two (depending on the breed). Often you hear of puppies going into homes with children where the family is unaware of the true size the dog will grow into, and for some it becomes a problem. Taking home a fully grown older pet ensures you know what you’re in for when it comes to the size of your pet. When adopting any pet it is important that everyone in the family is on-board with and understands what living with that pet is going to entail. Young pets can be fun but a lot of hard work, therefore senior pets can often be a great choice for many families. When looking at senior pets make sure you’re prepared for any health conditions that may come with your new older family member. Don’t forget one of the greatest rewards of all when it comes to adopting a senior pet – knowing you have given your new best friend a wonderful home to live out their golden years in. Do you love senior pets as much as we do? Share with us your best ‘Golden Oldies’ pics on our Facebook page!